With nearly $236 billion spent in online shopping in the United States, you might want to design an online shopping portal for your business. More than ever, brick-and-mortar retailers are increasing their sales through online stores that are linked to their company websites. If the thought of building your virtual store intimidates you, you are not alone. 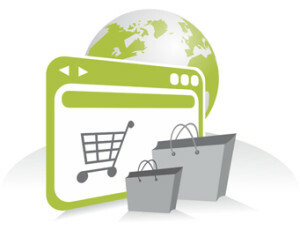 Ecommerce vendors, however, can help you set your store up in a few steps. This old saying is true of many things, including designing your site. The online sales portal is your face to the world, because your presence on the Internet gives you an international market along with multi-million dollar corporations. You want your portal to look professional and clean, just as you want your brick-and-mortar shop to appear. Taking the time to decide on your site’s personality and plan its overall function will save you steps later. Still, DIY Themes advises that you should not obsess over getting things perfect, because the portal will evolve as you gain customer experience. Even so, you should decide the major points, such as whether you will use PayPal to collect payments or how you will ship your orders in advance. Once you get a general idea of what you want in a portal, you should research and choose a vendor. These are companies that help you put the site together and then host it for a monthly fee that can range from around $10 a month to more than $700. Vendors all have templates that allow you to do some customization and are relatively simple to operate. Since they all offer the basic services the difference in them will be in what auxiliary services you want. According to Entrepreneur, most vendors, like “Shopify” and “Wix E Commerce” allow you to build the portal for free and make their money from the hosting. Branding is an important concept. Basically, it involves giving your product or your company an image that customers will come to trust and seek out. If you already have a brand, your portal should mirror it in the logos and colors as well as any copy you write. Most templates allow you to upload logos and other branding easily. Customers rely on companies that fulfill orders promptly and make returning items easy. In fact, the shopping experience as a whole should be no less satisfying than buying from a “real” store. Choose a vendor that gives you a simple shopping cart. The shipper you select will probably have an automatic calculator that will figure the costs and display them at checkout. Make sure the images of your product that appear in your online catalog are crisp; take them with a quality camera and upload them through your template. You can handle customer relations with CRM software that lets you track contact information, purchase histories and other data. The software may be an added expense but it will save you and your customers a lot of frustration. Online shopping with your company must be enjoyable or customers will not return. Your internet presence levels the playing field for you with big competitors, but you must offer a simple and reliable service. Take time to build a sturdy and usable foundation for your portal and then let it evolve as you see customers’ needs changing. It is no trick to design an online portal for your business with templates and your own business sense.